Every Spring, a series of events called The Moisture Festival takes place. This year it occurs from March 19th – April 12th and includes three different kinds of shows. There is Comedy/Variete, Burlesque and a Circus show at Teatro Zinzanni. I was able to attend the Comedy/Variete and Burlesque shows this past weekend. 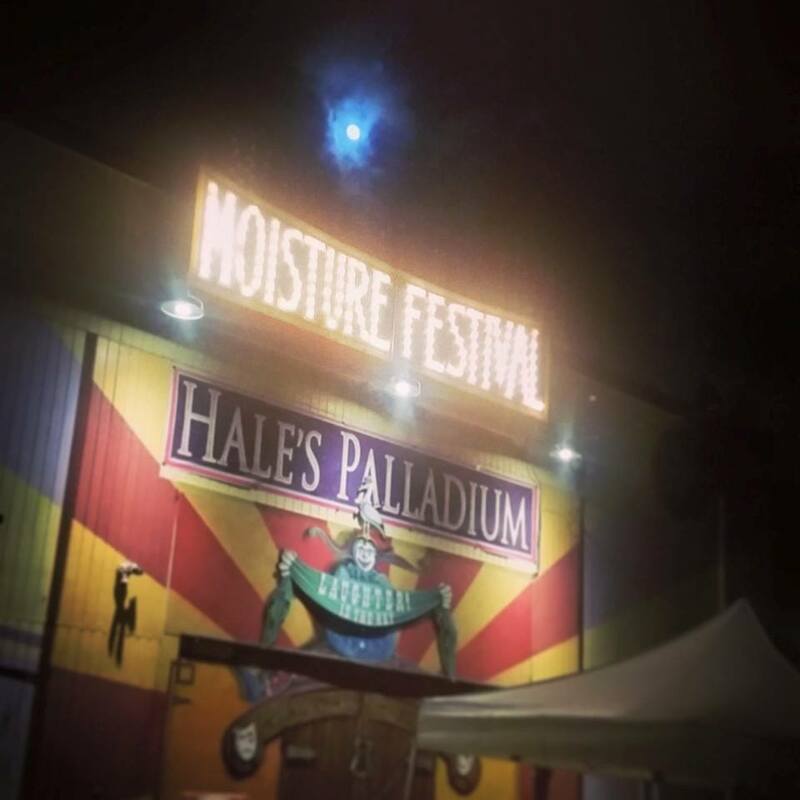 The Comedy/Variete was held at the Hale’s Palladium in Ballard. For those of you who have never been to a Comedy/Variety show, it is an event with several different short performances mixed with certain talents and/or comedy acts . Every act contributes their own unique talent. This particular show was filled with juggling, acrobats, singing, and several comedy acts thrown in for fun. I found myself gasping in disbelief, unaware that there are people in this world who can actually do these amazing things, particularly with their bodies. Dr. Calamari and Acrophelia showed us an incredible awe-inspiring performance. They were able to balance their bodies in ways I didn’t know were possible. The most surprising was when he was standing with her standing on his head. A performer by the stage name of PJ also captivated me with her acrobatic performance swinging intensely on a high rope. For those most moved by music, we had the pleasure of listening to Don Davis, who sang about his tales of marriage and raising a teenager, and Christine Lavin, a middle-aged woman, appeared to be singing from the tune of the Fresh Prince of Bel Air, which was funny in itself. Both were excellent additions creating many rumbles of laughter throughout the audience. The following night, I had the pleasure of witnessing many great burlesque performances at the Broadway Performance Hall in Capitol Hill. One of the first performances was Luminous Pariah, who definitely shook what his mamma gave him, impressing the audience with his lively performance. Lily Verlaine had her own song dedicated to her before she came out and wowed the crowd, splashing herself around the inside of a giant martini glass. This was quite fun to watch. Shanghai Pearl politely pranced onto the stage dressed in conservative attire only to rip off her clothes with a wild jaw dropping performance. Towards the end of the show we got to see Indigo blue shake her body parts in a way words cannot describe. These were just a few of the many captivating performances. I have seen burlesque shows in the past but this one was one of my favorites. To me, not only should burlesque include good dancing but should also have colorful costumes and music with a spell binding beat. This one did just that. The Moisture Festival will have shows until April 12th. Whether you are interested in the comedy/variety, burlesque or the circus show, there is something for everyone. For more info click here.